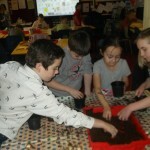 During Computer Science Week, children have been taught the skills of creating games. One application used is 2DIY through Purple Mash. 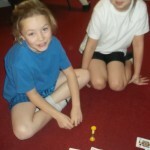 Mr Baddhan was very impressed with the game making skils of Brianna and Dylan in Year 4 Robins class. 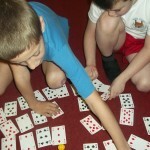 The children had to also ensure they added clear instructions so users know what the aim of the game is. Have a go at playing these games, use the cursor keys on your keyboard and read the instructions for each game. This Friday we will be celebrating the end of our topic ‘Where in the world? 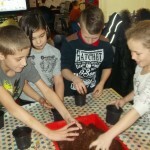 UK’ during which we have been learning about Great Britian. During maths week, we budgeted for the party and tomorrow, Miss Sloman will buy the items that we suggested. As part of our Design Technology lessons, we will plan, make and review the process of preparing the food for the Banquet. We have decided on three different recipes which will be revealed tomorrow one we have written the recipes for them. We have been very busy making decorations for the hall so we hope it will look wonderful. Reminder for parents: We would love it if you could join us in the hall at 2.40pm on Friday to come and look at our decorations and some of the work that we have done over the past term. Please get your child to let me know if you will be joining us if you have not already returned the slip (If you have lost the slip just write a note in your child’s reading diary). 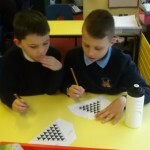 This week in our Maths lessons we have been concentrating on our Mental Maths skills. 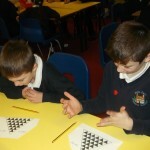 We have enjoyed competing against each other in different maths game. We played a great game called ‘Race to the top’. This involved us adding 2 digit number in our head to reach the top of the triangle. 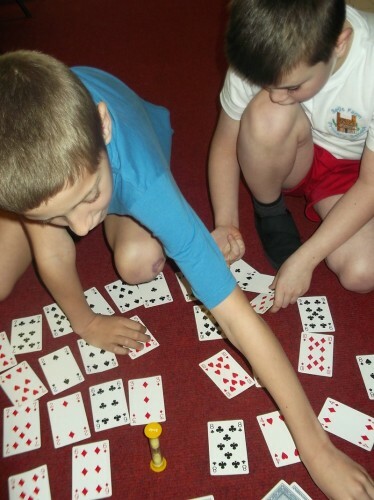 We also played ‘Don’t get mad- get even!’ We have to pair up playing cards so that the sum was an even number. We raced against the egg timer to see how many we could get in 1 minute. 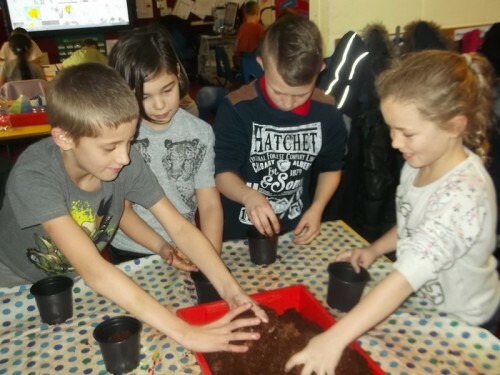 Today, Year 4 have been planting daffodils in support of the Marie Curie Cancer Care Charity. 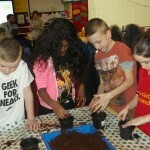 The children have planted their bulbs, decorated plant pot covers and written instructions on ‘How to grow a daffodil’. We have had a lovely day. Thank you to all the children and parents for their donations and support. We look forward to some lovely flowers in the spring. 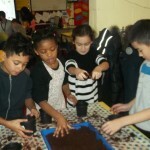 Kai M, Mya, Cody and Leah cover their daffodil bulbs. All nice and cosy! 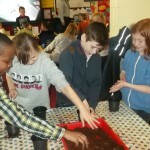 Solomon, Brianna, Isabel and Jimmy get their hands lovely and dirty!! Archie, Dylan, Chelsea and Poppy look very serious!